Window tinting combined with air conditioning is great solution for a truly comfortable space without the ongoing costs. Window tinting can reduce the temperature in a room by approximately 5 degrees. It can also cut out up to 80% of the energy from the sun. In fact, energy costs can be cut by almost 30% with tinting alongside a good quality air conditioner. Using window tinting can also prolong your Air conditioners service life as the unit doesn’t need to work as hard to cool the required area. Upgrading window glass with window tinting is also ideal for buildings without air-conditioning. 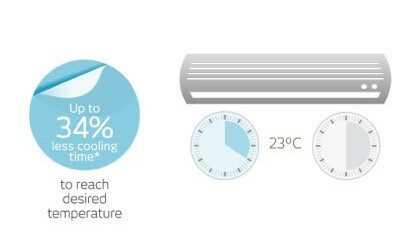 It may even replace the purchase of expensive air-conditioning systems by significantly reducing interior temperatures. Certain window tinting films increase the level of insulation, reflecting radiant heat back into the room or the building’s interior, conserving heat during cold winter months and delivering cost savings in summer.